I thought today I would do a little update on what I'm currently reading and a little on my current blogging funk. 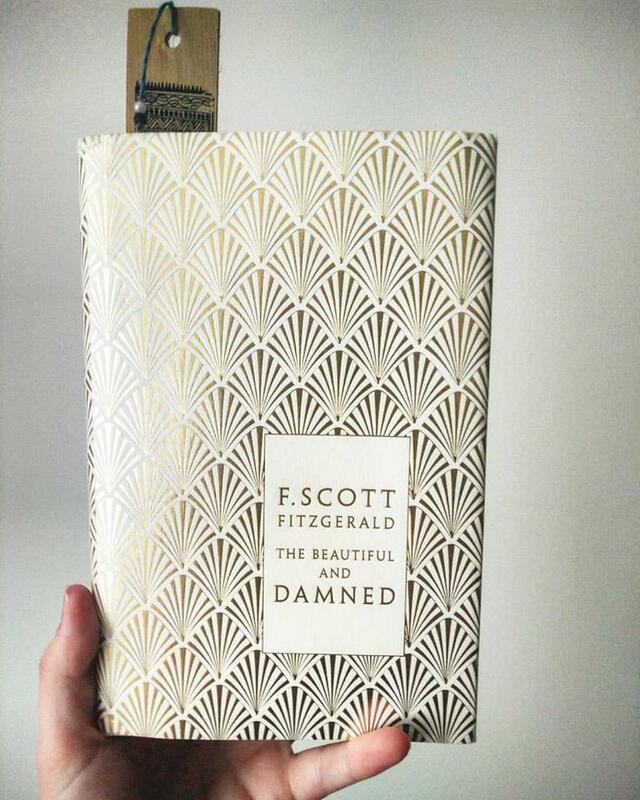 Firstly, I am reading The Beautiful and Damned by F Scott Fitzgerald - in this very beautiful Penguin edition. Sidenote - last year I made a wee video talking about these beautiful books which you can see here. I'm really enjoying reading this fr the first time, although I'm realising I probably should have read This Side of Paradise first. Reading Paradise would allow me me to see progression in Scott Fitzgerald's writing which would be really interesting. Now to my blogging funk, ever since my extended break from blogging and YouTube (which you can read about here) I've kinda been in a bit of a blog funk. It's weird because I've bounced right back into Instagram and YouTube but I'm still not that comfortable with blogging at all! So I don't really know why it's working out like that or how to fix it. One of my theories is that I think I have so much to learn about YouTube and that is what is keeping me engaged in it. For example, I have recently downloaded a new editing software (Filmora) and I'm also trying to learn how to colour grade so there are a lot of challenges for me still in YouTube! But I'm going to make a proper push at getting back into blogging, so expect more posts!